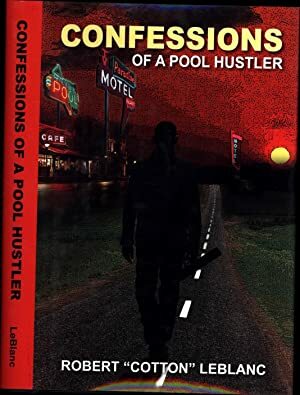 Confessions of a Pool Hustler shares the outrageous tales of well-known pool player and road-man Robert Cotton LeBlanc. A lifetime of Cotton's thrilling experiences are included 40 years on the road leading up to becoming Technical Advisor and cameo actor in the 2003 cult hit movie, Poolhall Junkies, starring Christopher Walken and Chaz Palminteri. All are contained within 300+ shocking pages of his very personal memoirs. 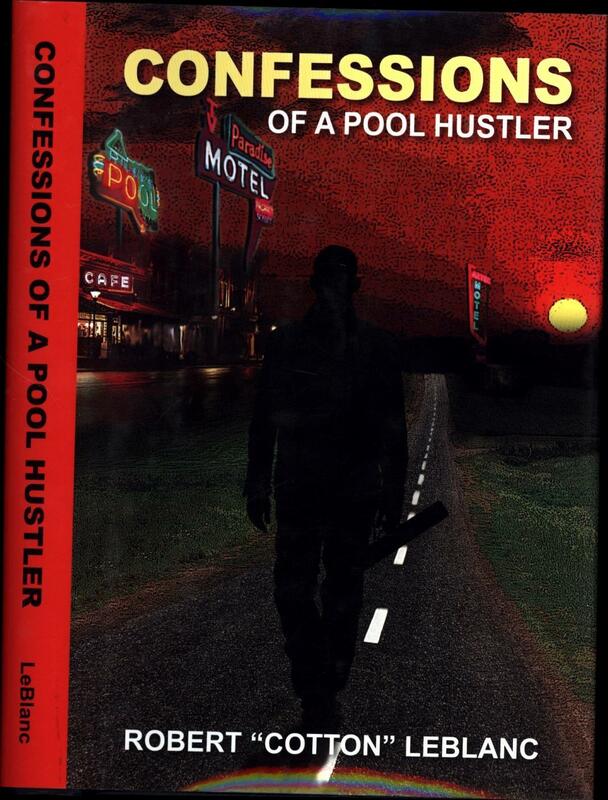 Take the journey with Cotton as he bounces along the back roads of a life from poolhalls to barrooms, from broads to booze and bar fights. Winning and losing thousands of dollars in any given season is the river of a road player s life. Teenage prodigy pool player from Memphis, Tennessee, Cotton's experiences include being in a full body-cast for a year due to a near-death accident, machine guns, drop-dead gorgeous women, size 23 shoes, married to a stripper in Tijuana at 16, stacks of money and diamonds, pistol-whippings, false imprisonment, massacres and murder... it s all inside Confessions of a Pool Hustler. Complete with dozens of exciting photographs. 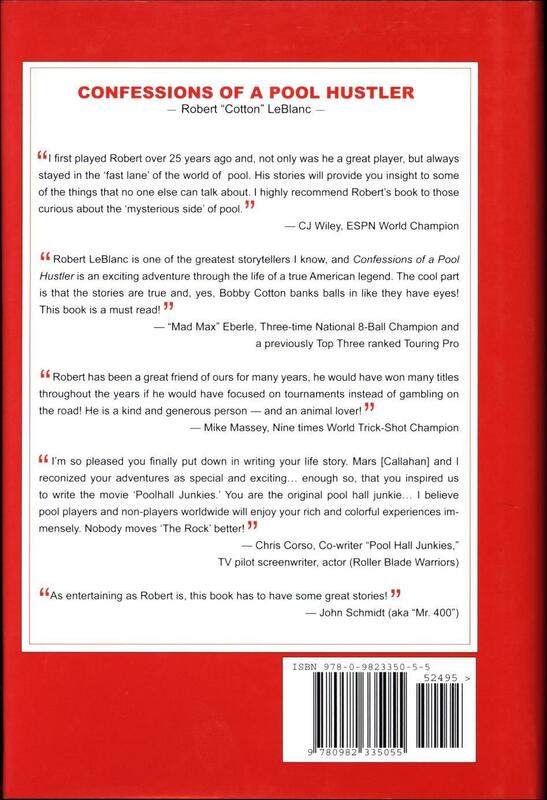 As a youngster, Robert Cotton LeBlanc was introduced to the sport of billiards at a local bowling alley that owned several pool tables in his hometown of Memphis, Tennessee. He was just 12 years old. A quick learner, he became skilled at the game and mastered it under the guidance of top billiards professionals in the state. 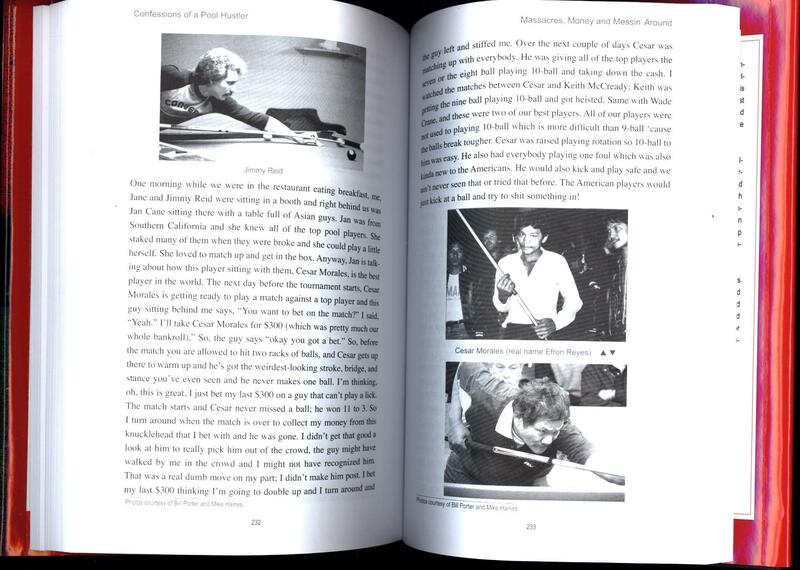 Before finishing high school, he began traveling the billiards circuit across the country. 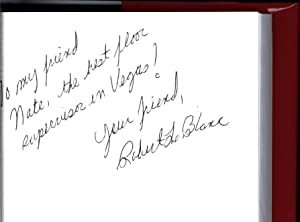 During that time he learned new strategies and techniques from accomplished players such as Buddy The Rifleman Hall, Wade Boom-Boom Crane, and Ronnie Allen. He soon earned the recognition and respect of the top pool players in the country by winning local, regional and statewide competitions. Robert's professional recognition includes numerous national and international first and second place awards; feature film, TV, and commercial credits; technical consulting and instruction; house pro and league director for numerous organizations. Eclectic used and out-of-print collectable condition books and records in every genre. Cat's Curiosities closed our brick-and-mortar location in Las Vegas in late 2016, and is now an Internet-only seller, specializing in Native American; Nevada & The West; Free-market & Austrian Economics; Music & Show Business; Vintage vinyl LP records (many signed); century-old juvenile series books; Physics & Electrical Engineering, Religion & Occult. Orders usually ship within 2 business days. Shipping costs are based on books weighing 2.2 LB, or 1 KG. If your book order is heavy or oversized, we may contact you to let you know extra shipping is required. Please make sure your e-mail program will accept such an inquiry from an ABE Books address.